AQUÍ VEREMOS LAS TÉCNICAS DE EDICIÓN DE REGISTROS PARA MODIFICAR TANTO LA DEFINICIÓN DE UNA TABLA COMO LOS DATOS INTRODUCIDOS EN ELLA. HACER DE ELLA UN MODELO DE ADAPTACIÓN A LAS NECESIDADES DEL USUARIO. DERIVADO DE LA PROBLEMÁTICA DE QUE DESCONOCEMOS QUIENES SON NUESTROS ALUMNOS, DÓNDE LOS HEMOS UBICADO Y EN CASO NECESARIO, LOCALIZARLOS FUERA DE LA ESCUELA. ADEMÁS LOS PADRES DE FAMILIA DEL 4° "D", VENDRÁN A CONOCER LAS CALIFICACIONES DE CADA UNO. OLVIDAMOS INTRODUCIR UN CAMPO QUE SE DENOMINE CALIFICACIONES. II. LAS TABLA SERÁ MODIFICADA DESDE VISTA DISEÑO. III. HABREMOS DE MODIFICAR LA ESTRUCTURA DE LAS TABLAS DE ESTA BD. I. EMPEZAREMOS POR ABRIR LA BD, Y SELECCIONAREMOS DANDO CLIC SOBRE LA TABLA DE ALUMNADO. 1. 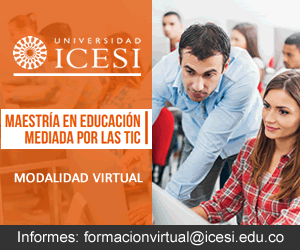 EN VISTA DISEÑO, HACER CLIC EN ACEPTAR. 2. IR DIRECTAMENTE AL ÚLTIMO CAMPO QUE TENEMOS Y REALICEMOS LA INSERCIÓN DE UNO NUEVO QUE SE LLAME CALIFICACIONES. EN TIPO DE DATO SERÁ NUMÉRICO. 1. CÓDIGO ALUMNADO LAS DEJAREMOS COMO ESTÁN. 9. CÓDIGO CURSO ESTE CAMPO NO EXISTÍA PERO NOS SERVIRÁ EN EL TEMA SIGUIENTE PARA REALIZAR LA RELACIÓN ENTRE LAS DOS TABLAS, TIPO: NUMÉRICO. TAMAÑO: BYTE. 11. IR DIRECTAMENTE A VISTA HOJA DE DATOS. (OBSERVA COMO EL PRIMER CAMPO -QUÉ ES AUTONUMÉRICO- YA TIENE EL NÚMERO 1). 12. PULSAR ENTER PARA IR AL SEGUNDO CAMPO. ESCRIBIR LUIS COMO NOMBRE. 13. PULSAR ENTER Y ESCRIBIR GRAS BUENO COMO APELLIDOS ALUMNADO. 14. PULSAR ENTER Y ESCRIBIR MADRID 34, COMO DIRECCIÓN. 15. PULSAR ENTER Y OBSERVA QUE YA DICE TORREÓN (POR SER VALOR PREDETERMINADO). 16. PULSAR ENTER Y ESCRIBIR 27002 COMO CÓDIGO POSTAL. 18. PULSAR PARA IR AL SIGUIENTE REGISTRO. NOTA: LOS CAMPOS CÓDIGO CURSO Y CALIFICACIONES LOS DEJAMOS VACÍOS DE MOMENTO; YA QUE AÚN NO SE CREAN LOS CURSOS. 2) MARÍA JUÁREZ TRASK, VALLE 23, 27002, 17/05/93. 4) ANA MARTÍNEZ BUENO, ALMUDENA 78, LERDO, 35005, 24/07/93. 5) CARLA LAMAS PLASCENCIA, SOTOMAYOR 45, 27006, 31/12/93. 6) CARLOS DÁVILA NOU, FELIZ 46, 27002, 24/03/89. 7) FABIOLA COSTE MAYOR, PUENTE VIEJO 67, 27002, 02/03/89. 8) LUIS ANGEL REYNA VILLASEÑOR, MADRIGAL 93, 27120, 01/03/89. 9) LUISA SUÁREZ MENOR, VALLE 27, 27002, 25/04/85. 10) JUAN CASAS MAESSE, MAYELA 34, 27130, 30/10/92. 19. GUARDAR LA TABLA Y CERRAR. 2. NOMBRE CURSO, TAMAÑO: 15. 3. N° DE HORAS, TAMAÑO: ENTERO. 4. FECHA INICIO, PROPIEDADES POR DEFECTO. 5. FECHA FINAL, PROPIEDADES POR DEFECTO. 6. GUARDAR LA TABLA. Y CERRAR LA BD. ESTA INFORMACIÓN ES RELEVANTE QUE LA TENGAS A LA MANO, DEBIDO A QUE EL SIGUIENTE TEMA SERÁN LAS RELACIONES DE INFORMACIÓN EN TABLAS. 1. LOS APUNTES DEL ESTUDIANTE Y LAS EXPLICACIONES DADAS, CON SUS PROPIAS PALABRAS, SOBRE LOS TEMAS VISTOS EN CLASE. 3. LA UTILIZACIÓN DE LAS OPCIONES APROPIADAS QUE OFRECE EL SOFTWARE PARA MODIFICAR TABLAS. 4. LAS EXPLICACIONES DADAS A CERCA DEL POR QUÉ EN ESTE CASO PARTICULAR ES APROPIADO REVISAR LA BASE DE DATOS PARA VER SI NO FALTA ALGÚN CAMPO QUE SE REQUERIRÁ AL EMITIR UN BOLETÍN DE CALIFICACIONES QUE EVENTUALMENTE SE ENVIARÁ POR CORREO ELECTRÓNICO. 5. LA FORMA EN QUE REALIZÓ EN EL LABORATORIO LOS EJERCICIOS PROPUESTOS POR EL DOCENTE. DEBERÁN DE ESCRIBIR EN HOJA WORD (AGENCY FB DE TAMAÑO 10), POR QUÉ HABRÁN DE INCLUIRSE NO UNO SINO DOS CAMPOS MÁS A LA TABLA DE ALUMNADO. (CORREO Y CALIFICACIONES). LOS TEMAS A TRABAJAR DEBERÁN SER DE UTILIDAD Y ACTUALES, DE FORMA QUE LOS ESTUDIANTES VALOREN Y REALICEN EL ESFUERZO NECESARIO PARA REALIZAR EL PROYECTO QUE SE LE PIDE, PORQUE SERÁ VÁLIDO.